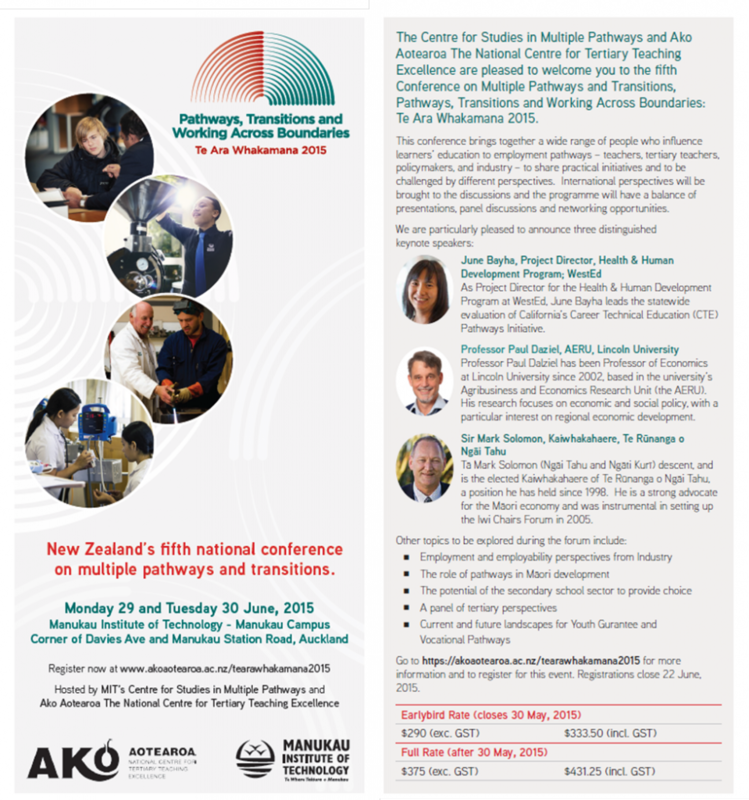 For five years the MIT Centre for Studies in Multiple Pathways in partnership with Ako Aoteroa: National Centre for Tertiary Teaching Excellence has held an international conference on pathways, transitions, bridging the gaps and seamless education. It started in a small way in 2011 and was predominantly focused on the new approach to “bridging the gap” between secondary and postsecondary education. The MIT Tertiary High School was a new development back then, the Youth guarantee policy was emerging and the questions were being raised as to how educational outcomes could be lifted by working differently. David Conley, from Oregon USA and the guru of career ready education, was the international speaker and over the years MIT and Ako Aotearoa have brought out to New Zealand such speakers as Gary Hoachlander from California and an expert in connected education, John Polesol, University of Melbourne, with his views on how social factors had shaped access to education and many others. And this array of international speakers have been surrounded by the best practitioners from around New Zealand and as programmes addressing the issues of engagement, transitions and pathways spread, so too did the understanding of the importance of these new ways of working. Over the years a story has developed of increasing opportunity for New Zealand students in the senior years of schooling, of new ways and working and more importantly, of new pathways to success. 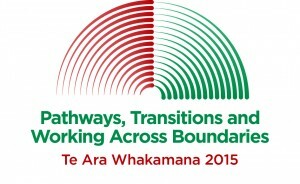 MIT Centre for Studies in Multiple Pathways and Ako Aotearoa: Centre of Excellence in Tertiary Teaching invite you to be a participant at the 2015 International Conference on Pathways, Transitions and Working Across Boundaries. Reflecting the growth of the programmes that increase positive outcomes for secondary and postsecondary students, this year’s programme stretches the band of interest to start the discussion of the role of employers in this new world. The following brochure captures the themes and intentions of the conference. It will be held in the new state-of-the –art campus opened last year by MIT at Manukau – arrive by train right underneath the campus.